Lake District 4×4, as part of the Beyond Driving all-terrain training network, have been providing off-road training across the north west for over 15 years. Running both RoSPA and Lantra-Awards certification for 4x4s, winch operators, ATVs and quad bikes, we have an enviable reputation for professionalism. From our course in Cumbria, or your workplace, our all-terrain vehicle training is run by the most highly qualified instructors in the UK. 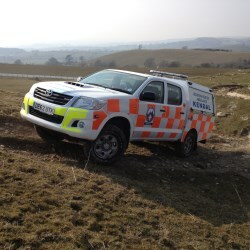 With both RoSPA and Lantra-Awards Approved 4×4, Winch and ATV Trainers, as well as Driver and Vehicle Standards Agency Approved Driving Instructors and Fleet Driver Trainers, we understand what can, but more importantly what should, be done with off-road capable vehicles in a health and safety conscious environment. Whether you’re looking for off-road training for one 4×4 driver, or ATV training for large groups of quad bike riders we can cater for your requirements. We will train your operators in their vehicles, from their workplace, or using our machines at our venue, which covers 300 acres of forest, farmland and Cumbrian fellside. We run many of our courses at the original base of off-road training provider – Beyond 4×4. All of our Off Road Training, ATV Training, Driver Training and 4x4 Instructor courses are provided by DVSA, RoSPA & LANTRA accredited trainers from Beyond Driving.